WHITE IRONSTONE in my shop...well, you asked and I delivered! Sweet dreams, girls! It has been a long day of Etsy-photo-taking today...so I am off to bed! More goodies going in the shopir Thursday morning! ...and I'm off to Nashville! Lost & Found...and the giveaway winners! 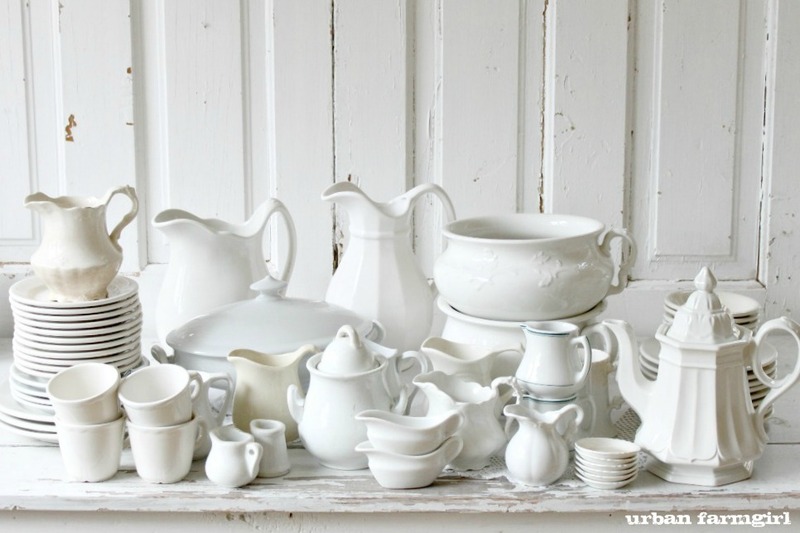 Urban Farmgirl invades Tattered Tiques! urban farmgirl is FINALLY on Facebook!